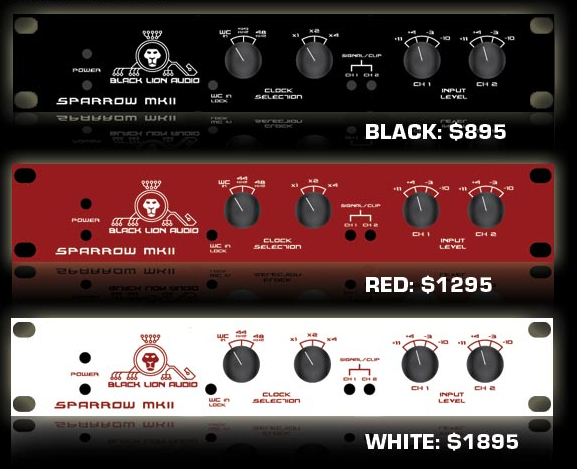 Black Lion Audio proudly introduces their brand new, completely redesigned 2-channel analog-to-digital converter, the Sparrow mk2 ADC! "The Sparrow mk2 is housed in a 1U 1/2 rack chassis, featuring XLR and ¼" balanced inputs, LED metering, BNC word clock I/O, AES output, coax & optical S/PDIF output, and user selectable signal calibration accommodating nominal input signal levels from +11dBu down to -10dBV. It features sampling rates from 44.1kHz -192kHz, with a clocking architecture that features low jitter and wide Q third harmonic crystal oscillators, and because of the quality of the clock multiplier and PLL recovery stages, performance will not degrade should the converter be synched to a lower quality word clock reference." The Sparrow mk2 ADC comes in three different colors. but the differences go much deeper than the colors. Get the full story here. Other World Computing is well known in the tech world as the premier site for anything computer related. Install videos are provided for those who need assistance with self installs. They also cater to iPhone and iPad users. OWC has reasonable prices, great tech support and first rate customer service. Their firewire drives are some of the best I've ever used. Visit the website for all your computer needs. "As had been rumored, multiple record labels on Thursday settled their copyright lawsuit against Lime Wire LLC and its founder, Mark Gorton out of court for $105 million, according to a statement from the RIAA." "The record labels involved in the suit include Arista, Atlantic, BMG Music, Capital, Elektra, Interscope, Laface, Motown, Priority, Sony, Universal, Virgin and Warner Brothers; in March, LimeWire settled with music publishers that had sued it." "The challenge for the modern studio (large or small) is a big sound on a tight budget, so Buzz Audio has done their best to bring you a very high level of audio performance at reasonable price. 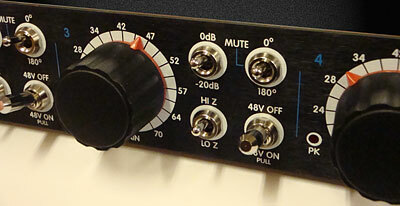 The QSP 4 channel mic preamp is made with real Class A discrete amplification and high end audio transformers just like the vintage classics of the past. But without the vintage price tag. The QSP has a stunning sound which you will immediately notice and owning a unit means never having to doubt your preamplifier again." On board linear power supplies - no wall warts! Maximum Output Level = +29dBu into 3k ohm load. Mic = 10Hz to 200kHz @ 20dB gain (-3dB). Instrument = 10Hz to 120kHz @ 20dB gain (-3dB). Signal to Noise Ratio Instrument = -76dB A wtg, input shorted. CMNR Mic = -78dB @ 100Hz, -100dB @ 1kHz, -100dB @ 10kHz. Input Impedance Mic = 4k ohms/1k2 ohms switchable. Input Impedance Instrument = 1MEG ohms. 115V or 230V ac mains, switchable on rear panel.